Need to rent a dumpster for your next project? Green Solutions and More provides dumpster rental services for homeowners, construction projects, manufacturing, and industrial uses. 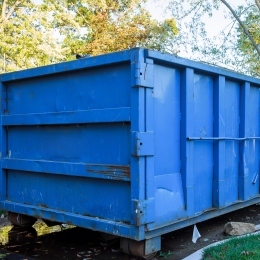 Our team will help you determine the size and type of dumpster to meet your project needs. We’ll deliver to your location and pick it up when you’re done. If dumpsters are available, same day delivery is possible (limited to certain areas). Green Solutions and More prides itself on providing the highest level of personal customer service. Similar to bins you’d find behind a restaurant or apartment. Perfect for weekend projects, garage cleaning, tree trimming, or junk disposal. Perfect for heavy needs like dirt, rock, concrete, small landscape projects, small garage clean out and bathroom remodel.. Medium sized dumpster. Best Value for your money, this bin is equal to renting 5 of the 3 Yard bins. Perfect for garage or backyard cleaning, smaller demo jobs , or junk disposal. If you think the 3 yard bin is too small or our 40 yard bin is too big, this is the bin for you. Perfect for smaller demo jobs , medium to large bathroom, kitchen remodel, garage clean out. The huge bin is usually used in construction sites or home remodels. Perfect for construction clean-up, demolition jobs, commercial roof tear off, commercial building cleanout or any large trash-producing project. We are flexible. Typically, 3-5 days (depending on service demand). If you intend to place a your dumpster on a right-of-way or public street, an official street use permit will most likely be required. This type of permit will vary from city to city; therefore, contact your local municipality regarding specific requirements or contact us at (916) 409-9700 for further details. Electronics or appliances (i.e. TV’s computers, monitors, printers, microwaves, refrigerators). Maximum legal road weight limit is 12 tons or 24,000 pounds. Should your dumpster weight exceed the legal road limit of 12 tons, we reserve the right to refuse service.